NEW PRICE! Owner says sell!! Make an offer! Great opportunity for the investor. Zoned multi family. This is one of two adjacent lots available from same owner. Buy one or two (discount for 2). See MLS C7239002. 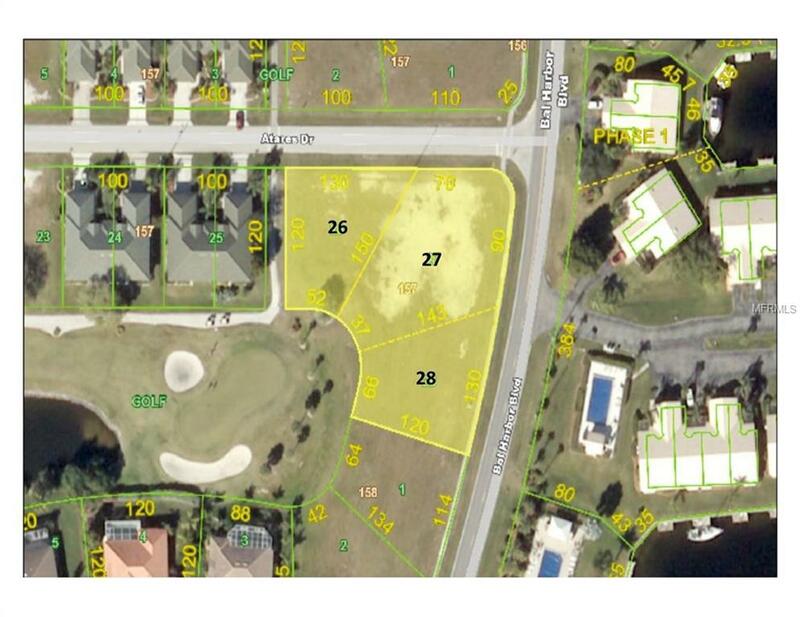 These lots have gorgeous views of the 5th green of St. Andrews Country Club in Punta Gorda Isles, a much desired deed restricted boating and golfing community in Punta Gorda, FL. Punta Gorda is a gem of a medium sized, charmingly historic town on the mile wide Peace River on the laid back west coast of Florida. Nearby Charlotte Harbor provides some of the best boating and fishing in the country! Great restaurants in a small but charming downtown are just minutes away from your place in the sun. Punta Gorda also boasts it's own airport with regularly scheduled flights to a number of northern cities via very reasonable Allegiant Air. Come to sunny Florida, build your dream house, investment condos or villas here, and enjoy all that south west Florida has to offer! It truly is paradise! Taxes are total for 3 lots.